Anthony Lynch a.k.a. “Aussie Ant” has been a creator of some excellent quality aircraft and scenery for a number of years with an Australian theme. My favourite addition from his aircraft collection is the classic DeHavilland DH82 Tigermoth. 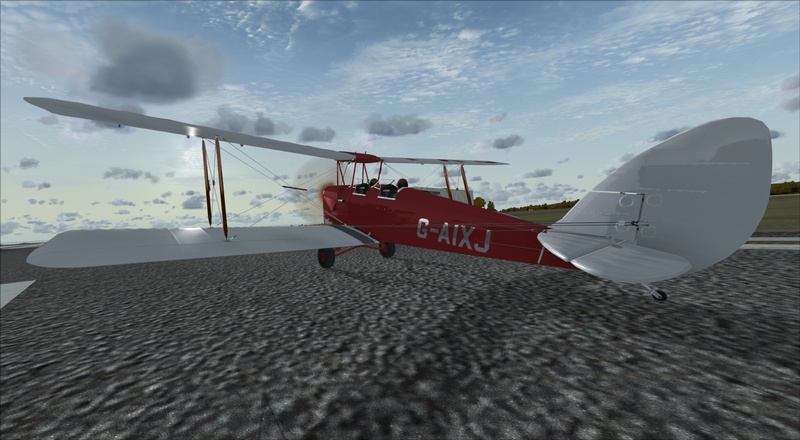 This is a stunning representation of a classic bi-plane, a type of aircraft that was notably lacking from the default FSX hangar. Once a primary trainer for Air Forces around the world, it continues to this day delighting thousands on joy flights and displays at airshows. Do not expect modern conveniences here like glass instruments or an autopilot (though a GPS is hidden there if you want it). The sound and the feel of the aircraft is iconic and a definite must have to relieve a golden age of aviation! Oh and look for the special cargo behind the pilot! Missed the last one? Click here for the first installment of Freeware Friday.